In these unsettled days where Australian prime ministers seem to come and go at the drop of a hat, here’s a quick look at four men whose tenures in the top job were mere blips in the political landscape. Three of our four shortest-serving PMs took office following the deaths of the sitting prime minister. One – Arthur Fadden – came to the top job when the sitting prime minister stepped down from office. One thing they all had in common was that there were no leadership spills and no backstabbing – well, nothing like the sort of thing we’ve seen in recent years. And there was an adherence to protocol. That’s not to say emotions didn’t run deep, but the politicians of the past generally seemed to be more respectful of both the system and the office of prime minister than they are today. So in descending order, here’s a glimpse into the four shortest-serving prime ministers in Australian history. Our 13th prime minister was Arthur Fadden (1894-1973), who led the Country Party (now the Nationals) between 1941 and 1958. He was acting prime minister when Robert Menzies was away for an extended period in London in 1941, and when in August that year Menzies resigned his prime ministership having lost the support of his ministry, Fadden stepped in as leader of the Coalition. For forty days from August 29th to October 7th, 1941, Arthur Fadden was both prime minister and treasurer of Australia. However, a problem loomed. In the 1940 election, the Coalition was two seats short of a majority but Menzies was able to form government having secured the support of two independent members of parliament. In early October 1941, those two independents withdrew their support for the Coalition and crossed the floor to vote against Fadden’s budget. Fadden had no other recourse than to tender his government’s resignation. The governor-general did not call for an election; the Labor Party under the leadership of John Curtin then formed government. Later, when Menzies won the 1949 election, Fadden was appointed deputy prime minister and treasurer once again, and was also acting prime minister six times between 1950 and 1957. He retired from politics in 1958. When Harold Holt disappeared while swimming at Portsea in December 1967, John McEwen (1900-1980) became Australia’s 18th prime minister. Like Fadden, he was acting prime minister a number of times between 1958 and 1971, and was deputy prime minister in the governments of Robert Menzies, Harold Holt and later John Gorton. For 23 days between December 19th, 1967 to January 10th, 1968, McEwen served as caretaker prime minister. As leader of the Country Party, he knew his tenure would only be as long as it took for the Liberals to elect a new party leader, although interestingly, many Liberals so respected McEwen that they asked him to leave the Country Party, join the Liberals and remain as prime minister. A loyal Country Party member, McEwen declined the invitation. He’d always been a staunch advocate of high tariff protection for local industry and agriculture, and as such disliked the Liberal heir-presumptive William McMahon because McMahon wanted to introduce broad tariff and other economic reforms. When McEwen declared that the Country Party would not and could not work with McMahon, the Liberal Party chose John Gorton as their new leader and McEwen’s prime ministership came to an end. In 1971, at the age of 70, McEwen retired from politics. The first Australian prime minister to die in office was Joseph Lyons in 1939 and upon his death, leader of the Country Party and deputy prime minister Earle Page (1880-1961) became the 11th prime minister of our nation, a position he held for for 20 days from April 7th to April 26th, 1939. When the United Australia Party (the predecessor to the Liberal Party) selected Robert Menzies as its new leader and hence new prime minister, Page wasn’t happy. He despised Menzies, and in a passionate speech on the floor of the parliament, accused him of cowardice for not having joined the army during the Great War. This, he declared, made him unfit to be prime minister, especially considering another major war was on the horizon. Menzies of course toughed this out and became one of the most successful of Australian prime ministers. He holds the record as our country’s longest-serving PM. The disagreement between Page and Menzies harmed only Page who was dropped as Country Party leader. He did however return to the ministry, serving as Health Minister in the Menzies government from 1949 to 1956. Page played an important part in the design and implementation of the National Health Act 1953, certain provisions of which are still in force. Frank Forde (1890-1983) served in the federal parliament for 24 years, after having spent five years in the Queensland state parliament. He held ministries in the governments of James Scullin, John Curtin and Ben Chifley, was an integral member of the Advisory War Council during the 1940s and was deputy prime minister from 1941 to 1946. Highly capable and hard working, Forde was sworn in as prime minister on July 6th, 1945 following the death of John Curtin. He knew it was only a caretaker position because the Labor Party had yet to hold a ballot to determine who would be the new party leader. As Curtin’s deputy, Forde naturally contested the leadership, but lost the ballot to Ben Chifley on July 13th. Forde had served just eight days as Australia’s 15th prime minister. The Labor Party under Chifley went on to win the 1946 federal election, but Forde lost his central Queensland seat of Capricornia. 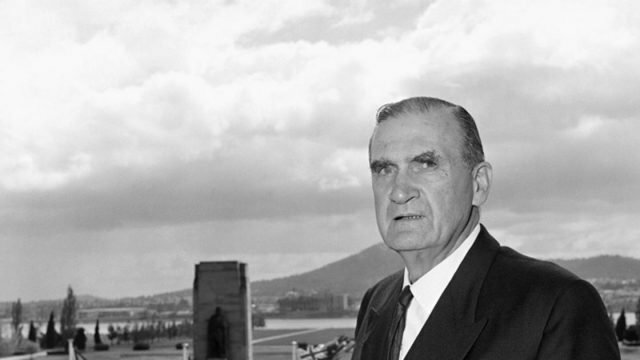 There’s always life after politics – from 1947 to 1953, Forde was Australia’s High Commissioner in Canada, and in 1955 he returned to the Queensland state parliament. As well as being our shortest-serving prime minister, Forde is the only Australian prime minister to have been later elected to a state parliament. These men assumed the prime ministership with grace and a sense of what was right at the time. In spite of the brevity of their tenures, the best interests of the nation were always at the forefront of their minds. It’s something today’s politicians would do well to emulate.